ROB BELL ON HIS PRACTICE OF "MILITANT MYSTICISM"
Apprising Ministries continues to tell you the truth about an infestation of ne0-Gnostic corruption called Contemplative Spirituality/Mysticism (CSM), which is now pandemic within mainstream evangelicalism through its foolish embrace of the sinfully ecumenical neo-liberal cult of the Emergent Church aka the Emerging Church with its quasi-universalism in a new version of postmodern Progressive Christian theology under their spiritual circus “big tent” of empty Emergence Christianity. You need to understand that this spurious CSM—the refried Roman Catholic mysticism “discovered” by Living Spiritual Teacher and Quaker mystic Richard Foster, and now perpetrated within the mainstream of evangelicalism as supposed Spiritual Formation with an able assist from his spiritual twin SBC minister Dallas Willard, was a core doctrine in the EC right from its hatching in Hell. 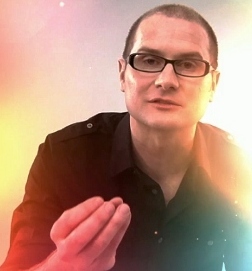 For a couple of years now, in pieces like Rob Bell In A Nutshell: Contemplative Spirituality/Mysticism and Through Rob Bell “The Great Enlightened Ones” Tell Us Man Has Divine Greatness as well as Shane Hipps And Rob Bell Teaching Heresy, I’ve told you that rock star EC pastor Rob Bell is heavily involved in this neo-Gnosticism. Study the fetid fruit of those who practice this spurious CSM, e.g. like Bell and the unholy EC trinity of apostates, Living Spiritual Teacher and EC guru Brian McLaren, universalist Emerging Church pastor Doug Pagitt, and his friend Tony Jones, the progressive “theologian in residence” at Solomon’s Porch, and invariably you will see them begin to teach the doctrine of universalism; case in point Rob Bell Out Of The Closet For Universalism. Nelson: Time Magazine, a year or two ago, called you the next Billy Graham. And then you’ve got a pastor at another Mars Hill church calling you a heretic. Bell: Well, uh, if I were to read the gospels for the first time, and I was stuck in a motel room, and I opened up a Bible and I read the story of Jesus for the first time, and then somebody asked me, “Well, what’s this story about?” One of the things I might say is, “Huh, seems like the sinners and the tax collectors and the prostitutes loved this guy, but it seems like the religious establishment was scared to death of him.” (laughter) So, uh, that’s what I think about that. (laughter and applause). I don’t know what, um, ok, let me give you concrete answers: In the Sermon on the Mount…no, in Matthew 18 actually, Jesus says if you have a problem with your brother or sister you go to them. Nelson: How often does that happen? Bell: It’s never happened. So, I would say to publicly slander and spread untruth about a fellow brother or sister without first going to them and saying, “I’m going to devote a great deal of energy to destroying you. Let’s make sure I have everything right.” To me, there is a violation of one of the basic things Jesus outlined. To me, then, you also have a community that would be OK with this, and then would almost see that as a symbol of devotion to Jesus. Um, I don’t understand that. I think it’s needed that we sort of take ideas and pull them apart, and philosophies and theologies and things like that…That’s the first thing that comes to mind. The second thing is 300 million people in Africa will die of HIV/AIDS…less than half of the world lives on less than two American dollars a day…so when we’re faced with the kind of suffering we have in the world…you wake up in the morning, and the very best use of your energies is tearing apart other believers…you begin to wonder if some Christians need to be saved. So, then thirdly, I’m not saying anything new. The historic, orthodox Christian stream is very wise and diverse. That’s part of its strength. It has lots of room…so if this is somehow an accusation of some new, sort of radical heresy, then no, that is ignorance…so to be honest with you, it has nothing to do with my life. I don’t debate. I don’t respond to hate emails. Hopefully you’ve never heard me say something unkind…sort of the fact that there is some sort of Christian echo chamber out there and people are quite riled by this…somewhere in Australia someone is doing seminars against me, and I was like, “Well, I’m putting somebody’s kids through college…it’s fascinating. Nelson: Why do stories matter? Why is story telling important? Bell: Because the ultimate mystery is the divine meeting us in space and time. The ultimate hope is God with us in space and time. And that requires an unfolding…so what we say is not there is some sort of vague, ambiguous…what we believe in this actual unfolding of history…we are not alone, and we’re going to be OK. And so, a story unfolds in time. That’s basically different than an abstract God is A, God is B, God is C…that could be anywhere, but a story unfolds in space and time. What we want to know is are we alone or is there a presence very near us? Is this going somewhere or is it truly meaningless? The story you are telling drives everything. Here is an example: If your story begins in Genesis 3 with people being really bad, then your gospel will be, “We have to deal with the sin thing.” And if it begins with the world is bad and people are bad then the highest…is figuring out how to evacuate and go somewhere else. If your story begins in Genesis 1, it begins with a poem of creation…and God has said, “I made this big, beautiful world and I put you in it. Now you go make something big and beautiful…” If your story begins in Genesis 1 and 2, well that’s a fundamentally different story. Then no longer is the fundamental problem getting rid of sin. The gospel then is restoration and redemption and renewal and return to how God always intended this. So then, deeply, your gospel is not how to get out of here, it’s “How can we invite God here?” Whether or not you find sustainable energy…if you believe this place is going to be torched and we’re going to go somewhere else, then why work to make this the kind of world…but Jesus says, “Your will be done on earth and it is in heaven.” But big stories matter because they reflect the larger story we believe is being told. DID ROB BELL FORGET THE CROSS?